Dent is not enrolled in the class, and he admitted to Raleigh news station WRAL that he has not read any of the assigned texts. 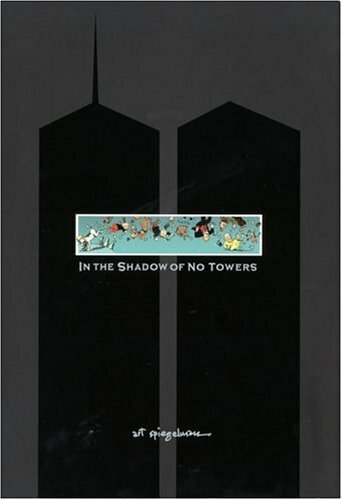 Nevertheless, he apparently concluded from online reader reviews and other indirect sources that “the readings mostly focus on justifying the actions of terrorists.” In fact, the first full book that students read was Art Spiegelman’s In the Shadow of No Towers, a characteristically complex and personal meditation on the comics legend’s reaction as he witnessed the World Trade Center attacks first-hand and reflected on their aftermath. Paying special attention to the public memorialization of and political responses to the al-Qaeda attacks on the World Trade Center and the Pentagon, this course will ask students to reflect on the attacks’ relationships to politics, religion, security, warfare, and national identity. In addition to offering an introduction to the concept of terrorism and to the production of knowledge about political violence in the fields of law, politics, journalism, and terrorism studies in the past decade, the course will explore a diverse array of themes related to the 9/11 attacks as depicted in poetry, novels, graphic novels, film, and music: explanations of the causes and consequences of political violence, the role of religion in public culture and state institutions, the history of United States’ international relations, national security and antiwar discourses, mourning and public trauma, and the perspectives of detainees and minority communities on the attacks and their aftermath. In his cursory review of the course, Dent only mentions the list of books from the campus bookstore website. The full schedule from the syllabus, however, shows that students will also read many shorter pieces including personal essays, the introduction to the 9/11 Commission Report, and a lengthy Esquire article about the infamous photograph of a still-unidentified man who jumped or fell from the WTC North Tower after the attack. They will also view an online photo archive of 9/11 memorials, two documentaries, and the feature film Zero Dark Thirty. Students are expected to respect each other as well as divergent viewpoints. This means that you should absolutely express your disagreements with the instructor or other students but that you should do so without resorting to personal attacks or to generalizations about individuals or social groups. For any student, part of the college experience is the opportunity to grow by learning about yourself and how you engage with and learn from those who have different points of view. Carolina’s first-year seminar program is part of that growth. The University isn’t forcing a set of beliefs on students; we’re asking them to prepare for and engage in every lesson, debate and conversation, and share what they think. Carolina offers academic courses to challenge students – not to advocate one viewpoint over another. Here, we see the fundament of intellectual, of cultural life — although it requires that we do the necessary work. We have to expose ourselves to other lives, to other perspectives; we have to engage in the world beyond ourselves. Nuance again, or the art of being a responsible citizen or student, the necessity to be informed. That’s hard work, and it begins with patience, or more accurately, a willingness to listen — and to read.